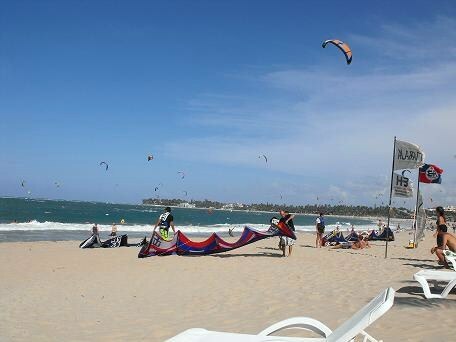 Cabarete, Top Ten Kite Boarding Beach in the World! 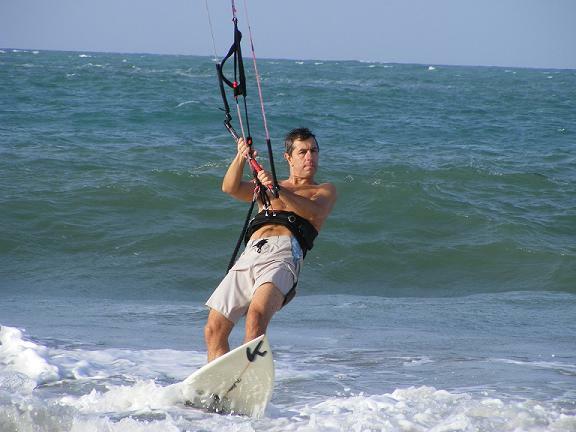 Cabarete, Best Kite Boarding Beach! 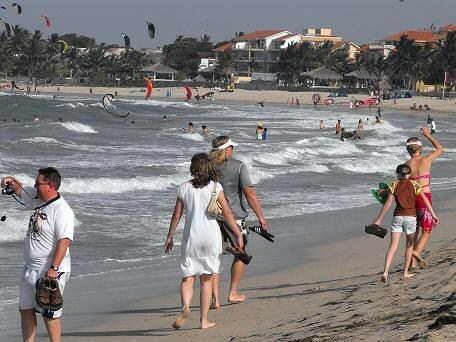 I love Cabarete...this quaint, laid-back Caribbean town. The restaurants on the beach, the Kites in the sky, the wind blowing from the ocean...everything's perfect! relaxing on the beach, you will have a great time. Just sit back and enjoy the amazing sight! This little beach town is in the Dominican Republic North Coast. It was discovered back in the 80's by Jean Laporte from Canada. 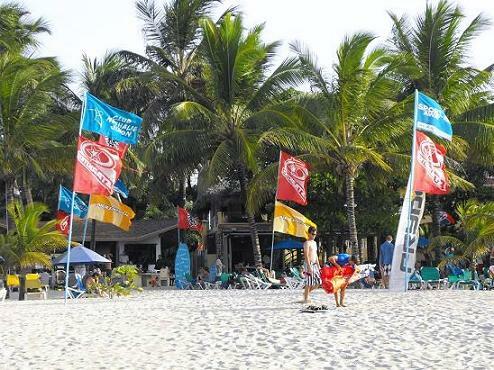 a world class kiteboarding destination. This is a bay where the winds, the coral reef at the entrance of it and the hills in the background, create this unique and perfect thermal effect. 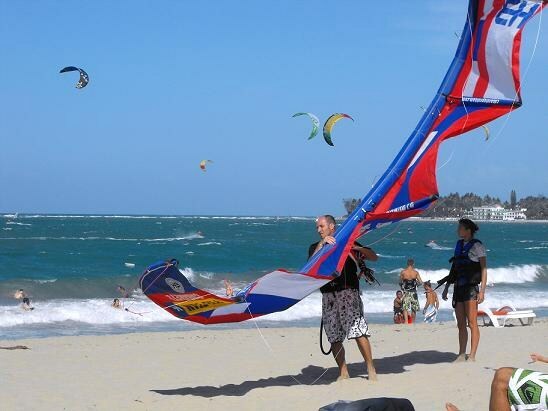 This makes it one of the best Kite Boarding Beaches in the world! 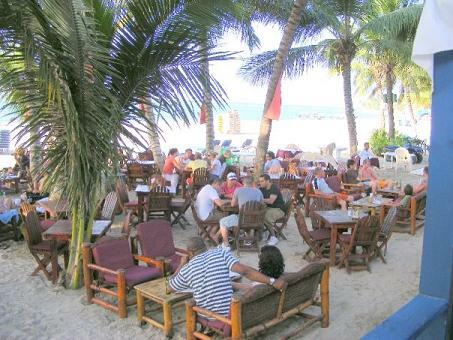 Cabarete's weather forecasts right here! Families with children love it too! to do and many places to visit. and rental equipment if you don't bring your own. 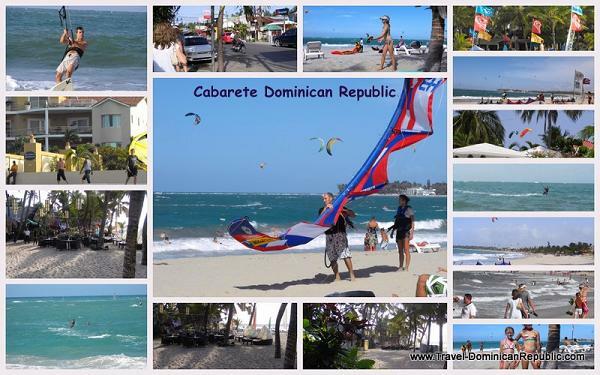 My family and I have been to Cabarete Dominican Republic twice. wanted to buy. It was a crazy idea but fun while it lasted! knew that there are not a lot of big resorts here. beautiful Villa close to the beach. where all the restaurants, discotheques and stores are located. That is a 10 minute walk on the beach! we also went on an excursion going East. Playa Grande...We can't wait to go back!